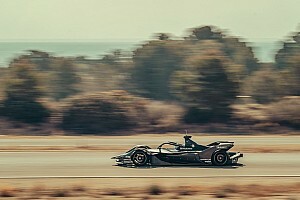 DS Techeetah's Vergne was one of several drivers to improve in the final minutes, joined by Stoffel Vandoorne and Pascal Wehrlein. Vergne's 58.775s best made him one of six drivers to lap inside 58s and he was 0.042's clear of Vandoorne in second. Vandoorne's placing was a boost to HWA, which struggled for reliability in the Mexico City E-Prix. HWA spent the day focussing on set-up and software improvements and Vandoorne's team-mate Gary Paffett led the afternoon session early on before taking 14th. 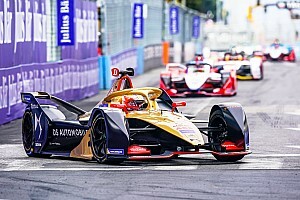 Third-placed Wehrlein, who lost out on a first FE victory in the Mexico City E-Prix just metres from the finish, was a further 0.092s back from Vandoorne. Envision Virgin Racing's Robin Frijns topped most of the afternoon session and settled for fourth. 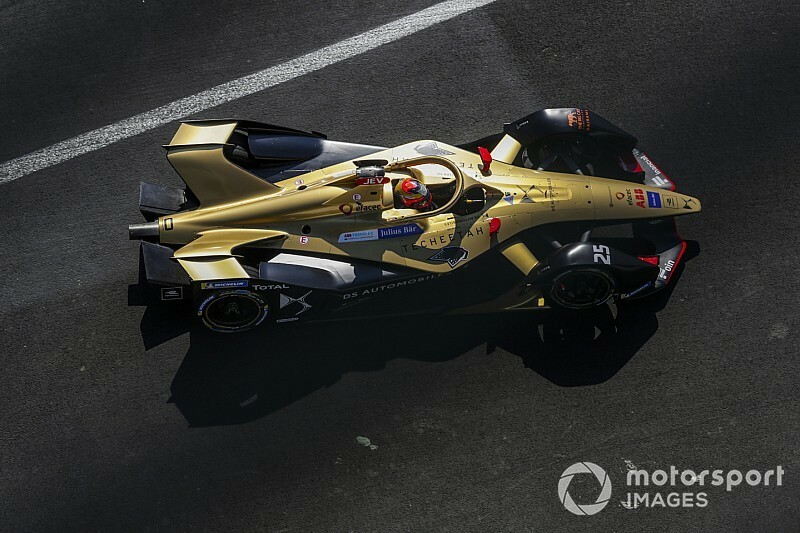 Andre Lotterer was fifth, ahead of Mexico City E-Prix winner Lucas di Grassi and Mitch Evans. Evans's Jaguar squad's programme included working on finding a breakthrough to its lack of pace in qualifying. Sebastien Buemi was ninth ahead of Edoardo Mortara, Daniel Abt, and Felipe Massa. 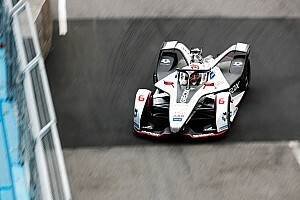 BMW Andretti had held a one-two early in the morning session with drivers Antonio Felix da Costa and Alexander Sims, and ended the afternoon in 12th and 21st respectively. Dragon Racing gave Mercedes factory driver Raffaele Marciello an outing in place of regular driver Jose Maria Lopez in the second session and the Italian took the 16th best time. 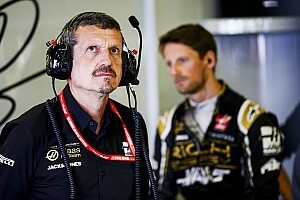 Lopez, who described Dragon's programme as getting on top of software issues, was fourth in the morning. Nelson Piquet Jr missed around an hour of the morning's running as his Jaguar team remained at the track until 3am to repair his car following his Mexico City E-Prix crash. 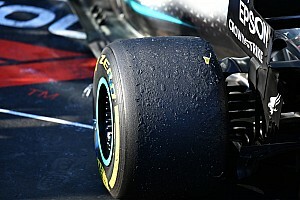 Piquet took to the track in a new chassis and finished 19th in the afternoon, as Jaguar elected not to use his original. Felipe Nasr caused the only stoppage in the morning after he clipped the final chicane, while there were two red flags in the second session - one for debris, and the other due to water on the track.